April is Testicular Cancer Awareness Month, a cause that is very close to my heart—or more accurately—my groin. 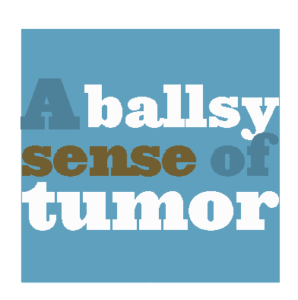 In an effort to spread awareness, I’ll be sharing my personal story of my testicular cancer diagnosis in a four-part series here on my weekly column. It’s the saga you never know you needed to hear. This week, we delve into when I first realized something was amiss. Back back in the far off year of 2016, I was your pretty standard male in his twenties. I had a full-time job as a fourth grade teacher, had just recently purchased a new home, and had just begun a new educational consulting side gig. Life was pretty great. How quickly things can change. The date always sticks out so clearly in my mind: October 7, 2016. That day was quite the momentous occasion. It was field day for my students, an early release day, and I was flying to Kentucky for my first tech consulting assignment. I knew it was going to be a weekend to remember, but I could have never anticipated why it would become so infamous in my memory. After a momentary panic in the airport upon realizing that the airport, hotel, and work assignment were all located roughly 150 miles apart in three different directions, I straightened it out, landed, drove 80 of those miles, and went to sleep—albeit way later than I originally intended thanks to my lack of foresight. The real terror didn’t start until the following morning. While showering, I decided to do my monthly testicular self-exam. While placing my index and middle fingers under each testicle, I, firmly but gently, rolled each of my little buddies between my fingers. The right one felt smooth like a grape, but Lefty—he was a different story. For one thing, there was a hard, pea shaped lump on the underside. On the left side, it felt like a jellyfish wrapped around a rock, but this rock was my testicle. Most alarmingly, neither of these masses were there when I had done my self-exam in September. Somehow, I managed to get through my consulting assignment, board the plane, and make it home. Still, Lefty’s abnormalities haunted my every thought. Two obstacles prevented me from calling a doctor immediately. Like I had said, I just moved so I didn’t even have a doctor in the area yet. However, this was easily overcome—I simply asked one of my new neighbors for a recommendation, but I left out why it was such a pressing matter. The other reason was less of a physical barrier and more of a psychological issue. Simply put, I kept making excuses because I didn’t want to make that call. I couldn’t find time; I couldn’t get cell service; I didn’t know what to say. However, these excuses were all indicative of a bigger issue: I simply didn’t want to go to the doctor, even though I knew there was a problem. I wasn’t alone in these thoughts. The Cleveland Clinic had just begun a series of surveys to investigate how men view their health, called the “MENtion It” survey. The 2016 edition of the survey found that 53 percent of men don’t talk about their health, and 40 percent don’t attend their yearly physical. I was part of the problem, but I didn’t realize it at the time. However, the fear of what would happen if I kept putting it off outweighed my reluctance to call a doctor. I finally sacked up and made the call. “Hi, my name is Justin, and I just need to see a doctor for a check up—as soon as possible, please.” I wasn’t ready to put it all out there quite yet. “The earliest appointment for a regular check up we have is about two months away in December,” replied the receptionist. “Well, there’salumponmytesticleandI’mreallyworried,” I spat out in one breath.